CEO Evan Spiegel was at the Cannes Lions Festival this week and made a pitch for Snapchat's new native video product — 3V: Vertical Video Views. Snapchat CEO Evan Spiegel has been talking vision a lot recently. Just last month, he spoke about the future (aka: business model) for Snapchat being advertising. This week Spiegel took his pitch to the Cannes Lions Festival to talk more about turning Snapchat into a platform for storytelling. 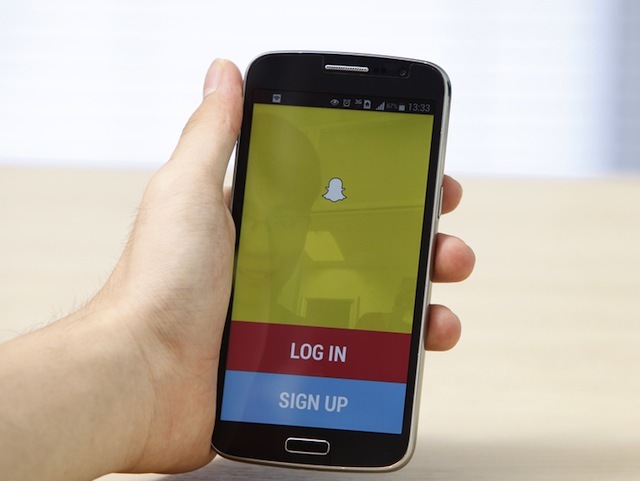 3V advertising is special because it’s built from the ground up for mobile, just like everything else on Snapchat. In the earlier days of Internet advertising, markets relied on things like targeting to differentiate ad products that weren’t very engaging. But today, with beautiful, full-screen video on mobile, we can build ad products that respect our community and their privacy. That’s something that’s really important. Snapchat may have less than 100 million daily active users, but those users create lots of content and new influencers started to emerge last year. For GrapeStory co-founder Jerome Jarre and other Snapchat stars, the disappearing content and exclusivity of the user-base that makes the network so attractive. It’s the most viral platform ever because people need to screenshot, share, and talk to their friends. Because it is disappearing in 24-hours, they have to tell their friends or else no one will see it… There’s an insane word of mouth power. The influencers will become even more important since 3V ads will appear as either sponsored posts or curated content, created by Snapchat users themselves as Live Stories. In fact, the Live Stories is one option for targeting. The other targeting options include the location, age, gender and the Discover Channel. Image courtesy of focal point / Shutterstock.com.